But will Windows ever make calls? Microsoft has announced that it has started to work on the ORTC (Object Real Time Communications) API for WebRTC as part of an ongoing partnership with standards bodies W3C and IETF. Writing on Microsoft's MSDN blog, Shijun Sun, a senior program manager for Internet Explorer, states that the goal will be to make browser-based calls more convenient by removing the need for a plugin. Skype is already integrated into Outlook.com but only as an instant messaging service rather than a full-blown, voice capable application. Sun revealed that more than 80 participants have joined the group and that a "call for implementations" has been issued. 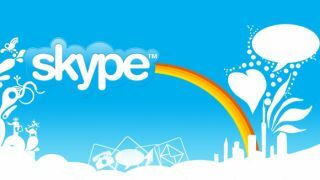 Getting Skype onboard Internet Explorer could boost its audience numbers - and revenues - significantly as prospective users will no longer need to download any additional applications if they're using IE. The popular free VoIP service was acquired by Microsoft in 2011 for $8.1 billion (about £5 billion, AU$9.21 billion) and has more than 300 active million users. Skype is likely to be available as a stand alone plugin for other competing browsers (Chrome or Firefox). Will Microsoft make Skype the defacto voice module within Windows Phone? What about Windows 10? Will it ever be able to make calls?